I had once a roaring social life. Every weekend was a party and multiple sets of friends used to visit us or we would hang out together. Sunday brunches, weekend movies were a norm. When I got pregnant, my friends were really caring for me and I loved all the attention around me. I didn’t believe anything could change until I had a baby. Having a baby, changed the whole balance in my life. While I struggled to even sleep well for months, my friends, who did not have kids slowly started drifting apart. It wasn’t on purpose, mind you but they didn’t know how to adjust to the new me and my baby’s erratic schedule. We made plans to go out but either my baby was unwell and I had to back out or I was too tired. The few times when we managed to go out, I had to apologise for a wailing baby, move out to feed him and the fun of it was lost. I soon stopped trying to staying in touch with friends and came to terms with the fact that having a decent meal with a small baby in a sit-down environment was not possible for me for me. I came up with excuses to not go out with my friends and slowly they stopped making plans with me. Without realising so, I was miserable for a long time and then I found moms with small kids and families and new friendships emerged. We were all in the same boat and understood each other’s plight. I did not need to feel guilty when my baby was not cooperating anymore. But I missed my friends and they were way more fun than my new buddies. So I knew, efforts were required on my part to make my friends a part of my new life and staying connected and I am sure you feel the same too. It might be tough for you staying in touch with friends on regular basis but you surely can text them every few days. Stay connected to social media by tagging them in posts, commenting on their pictures, chatting over a messenger or even sharing jokes. This is a way to stay in touch even when you cannot physically meet. Never underestimate the importance of a phone call. You will be surprised you have so much stuff to talk about and even they have so much to share with you. A phone call could be just as refreshing as a meeting. Just do not assume that your friends would not like to be a part of your kid’s birthday party or other family functions. If they are not comfortable, they will decline the invitation and there is no harm in asking. If they do come over, make sure to spend some one-on-one time with them. 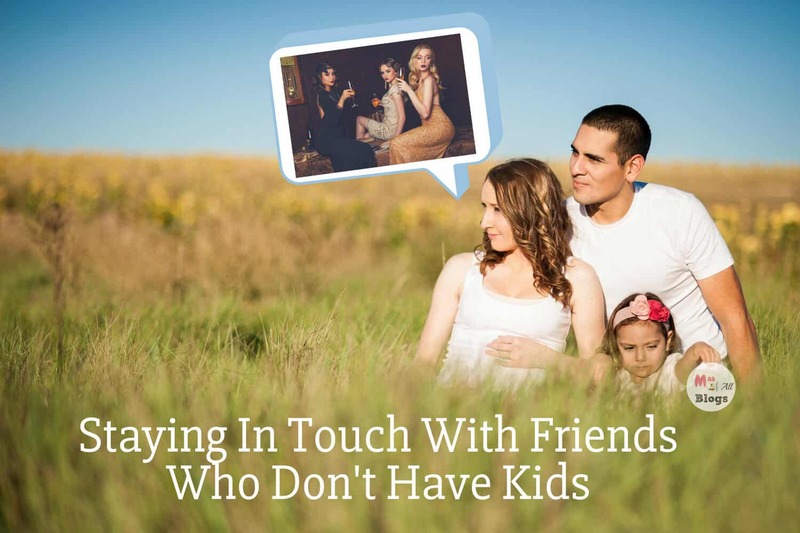 Inviting a couple of friends who do not have kids will let them enjoy together as a group. For instance, you could meet up at a hotel that has a cafeteria as well as a separate play area for kids. Other places that are a kid, as well as adult friendly for eg. camping, sporting events, water parks, science-fiction movies etc. Of course, these can be done when your kid is a bit older. It is important for both the partners to stay in touch with their respective group of friends. So, at times you can let your partner stay out late with his buddies for a dinner or to catch up a game of football at the sports bar. Likewise, sometimes your partner can do you a favour by babysitting for you. You can then catch up with your girls for lunch, a spa-date or a movie. This was the one way I managed staying in touch with my friends and maintaining my sanity and you need your girlfriends around. Lastly, when you do finally catch up, ask about their lives and their interests, problems, and achievements instead of blabbering about your child and your responsibilities as a parent, all the time. Be careful of not making any insensitive statements about their choice of not marrying or not marrying kids. While talking about your kids is natural just make sure you don’t get overboard. Some of our non-parent friends have stayed in touch with us because of how they beautifully maintained a relationship not only with us but also with the kids. They made sure my kids always called them by their first names and spent quality time with them whenever they visited us. My kids are close to them as they feel our friends are also their friends and vice versa. So some friends will take that effort or you can initiate this kind of bonding. Just remember it’s a choice you made to have kids and it’s no easy responsibility. Pat yourself in the back for being so brave. Some of your friends will have kids later than you and they will find themselves in the same boat and understand you better then, so it’s a matter of time. Some may never have kids but they will have other commitments that will overwhelm them at some time or the other. You can be there for them then with your experience. Most of my friends have seen my journey and many times turn to me for advice. It may not be possible staying in touch with friends all the time and the friends that you lose on the way might be missed but then you gain more important relationships on the way. And some may come back after a little break when they see you are more in control. Now with slightly older kids, I can look back and say, that I might have been overwhelmed at that time with the thought of losing out on my social life but am so glad I created a new one in my own way. Getting ready for the …..”bundle of joy”! I really sympathise with your post. This struggle is real! Now that my child is almost 3, I’m finally able to juggle baby and friendships, but it took a long time to reach this spot! These are some wonderful tips for moms. I believe they don’t always give equal importance to their friends, this should really help them reconnect with their friends. You know i had the same situation like you after having my baby.. I feel so neglected ( which is not exactly) by my old friends.. Your tips are so helpful and practical.. some of those also helped me to come back to track.. Spending time with my friends who don’t have kids is actually a great relief at times. Moms tend to overthink and discuss their role and responsibilities without sparing a thought for themselves. Good points here. Interesting topic! I do have friends without kids and I Ensure to be in touch with them whenever I can … Meeting for Birthday dinners is one thing that I religiously do with them. This was a much needed post for me. We always discuss ways out in our friends and few of my friend are looking for a solution. It will surely help. True, after baby things change and we lose being in touch with friends. But they are the ones who gives us real happiness. From last few months even I have started arranging get togethers for some time. I loved reading the post, This is so insightful. I definitely understand and have gone thru this when I Was so busy in kids and I lost touch with all my social circle. Thanks for these points it is really helpful. I agree… Once you become a parent, it’s hard to keep up with non parent friends… But we all need some fun and enjoyment with friends… The tips you shared to maintain a healthy bonding are really practical and good! That’s a beautiful post. I agree it’s always good to be in touch with our friends who are not parents you have covered some nice tips. I have a number of friends who dont have kids or are single. And I try to catch up with them by letting my husband babysit as they are not always comfortable with me giving my entire attention to my daughter, which is quite natural. Honestly saying the title itself is more than enough to get anyone’s attention, loved the way you have jotted down such a basic thought in such an amazing way, that we all need to understand. 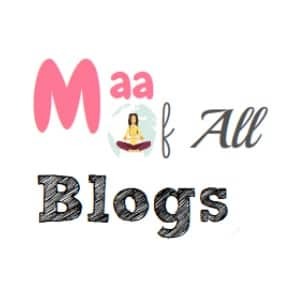 I am definitely sharing this blog across, plus must say hats off to the mind which had this amazing thought to be spread across. This is absolutely a lovely post! I agree with you – friends should include each other. I feel on the other hand, single friends too should invite their mommy friends – coz they too need a break and girly time! Relationships and friendships grow stronger with keeping in touch and keeping these points in mind. Quite relate-able article here, I have friend/s who were unmarried till last month and trust me they were more of daughter’s friend than mine. In fact, I felt out of place when she comes over to our place, as Kavya loves spending time with her. However, not all apples are delicious so these tips come handy. Yes, Prerna all the points which you have mentioned is true. You have expressed all the points very nicely. Keep posting such articles.